Alright so I finally tried some testosterone undecanate for my cruise (instead of my usual, which is taking the same ester that I do when I blast, but in a smaller dose). I found that doing this really helped open up my receptors for the other substances I use on my blast periods. 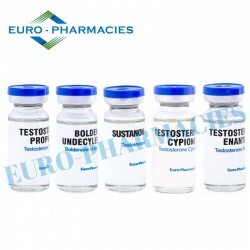 Since I am an experienced user this is my protocol, and since testosterone undecanate is a highly used substance in the health care field to combat hypogonadism, and treat for Testosterone Replacement Therapy, I decided to choose this particular substance by PSL. I definitely feel like I am in a better mood, and have better motivation since I have been cruising, compared to when I completely come off, and it prevents me from losing the typical percentage that I have lost in the past. Although the shot isn't as smooth as let's say the Enanthate is, I can't help but think it's a great idea to cycle the esters. The gains aren't as big with this ester, however the sides are much lower, which is another reason I chose to use it on my cruise cycle. By doing this I would have to say I kept about 25-30% more than I would have had I come completely off, which set me up for a great start to my blasting cycle. The thing I love is how PSL is making it at 500 mg per ml so If I choose to run it at 1000mg per week it is a simple 2 cc shot!